Now that we have turned the corner on the long and dark nights of winter and with spring just around the corner comes our desire for all things green and natural. The new Tropical Vibes collection of rugs, cushions and baskets has arrived just in time for the start of the new season. Inspired by the botanical beauty found in the tropics, the intricate plant designs are woven into four new washable rug styles, including Botanic Plants picture above. This range is the perfect solution for melding the outdoors with the indoors. Taking care of indoor plants can be a challenge for busy families. 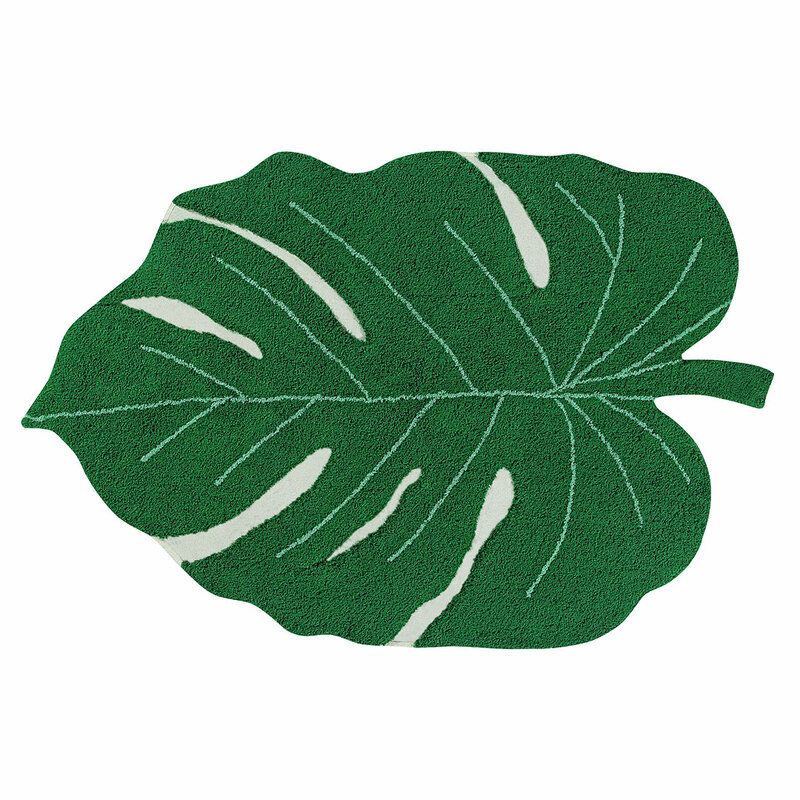 Instead, opt for the life like Monstera Leaf rug on your floor. Ideal in a sunroom or indoor porch but looks ultra chic in any room in the house. These rugs are designed with a natural base with botanical plants in different tones of green, terracota and mustard, perfect for both babies and grown ups! Add a life size textural feel to your home with the gorgeous Monstera Leaf rug (pictured above) This rug is inspired by the Monstera plant, which is native to rainforest regions such as Costa Rica. This fun and comfy rug looks chic in any climate–we love it as a stylishly fun addition to the sunroom, porch, reading area, play room or guest room. 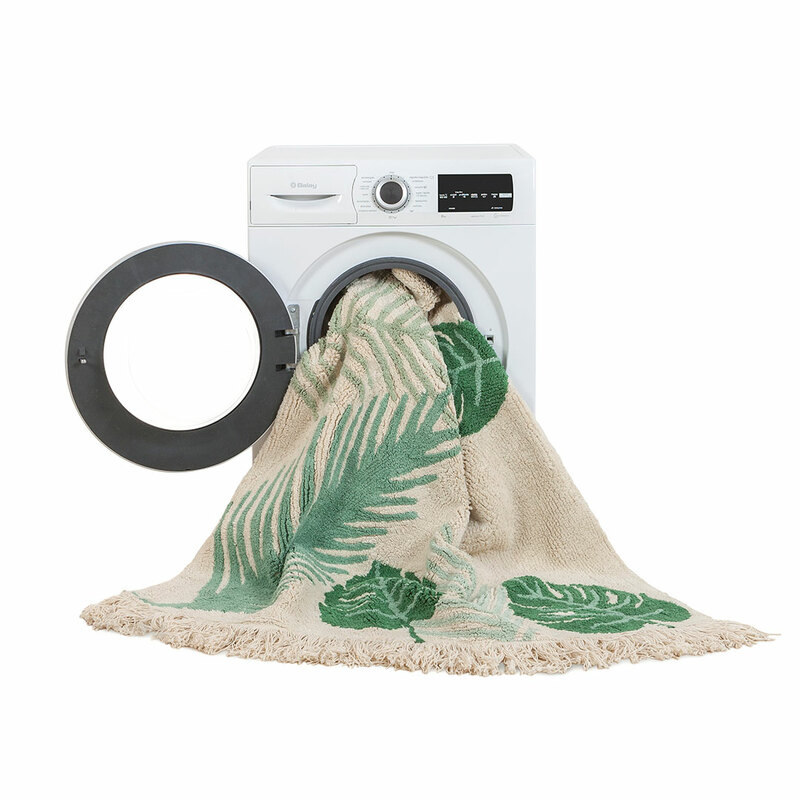 We all know that plants add to the oxygen levels in a home, boost the look and feel of your natural plants in any room by adding a tropical element made from 100 % cotton which is truly soft underfoot. These rugs are made with non-toxic dyes for a truly natural element which is easy to pop into the washing machine. 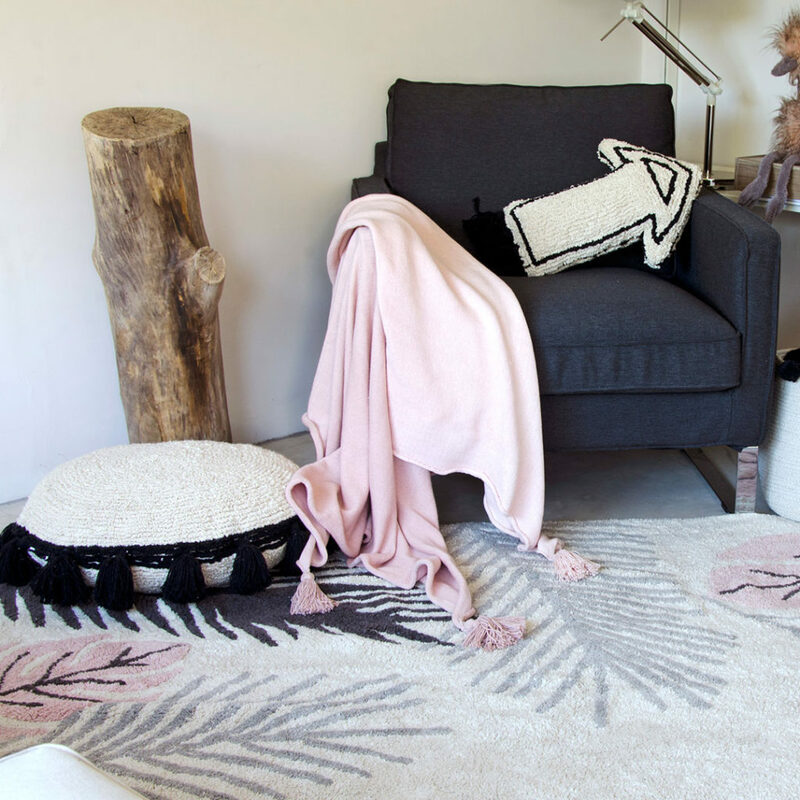 Our non-toxic, eco-chic rugs are super easy to clean and made for indoor/outdoor use.